When you build it you can also dismantle it. Restoring the property back to its original condition is often required at the end of a tenancy. It can be a complex process, and you must ensure you fully understand the terms of your lease agreement to know how liable you are for dilapidation costs. Its key for all tenants of commercial property to be mindful of the implications and responsibility for maintenance and repair. Keeping the property in good condition throughout your tenancy will help minimise lease end expenditure. 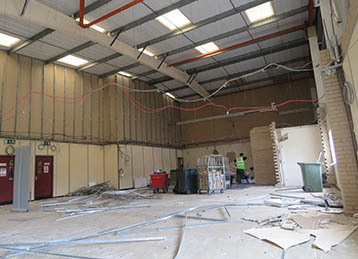 Dilapidations can be complex, and often companies do not realise the implications until after they have left a property, which can lead to unwanted costly consequences. It is the tenant’s responsibility to be aware of terms set out in the tenancy, not the landlords. Lack of understanding of the process means it can often set-aside and pushed back to the end of the company agenda. 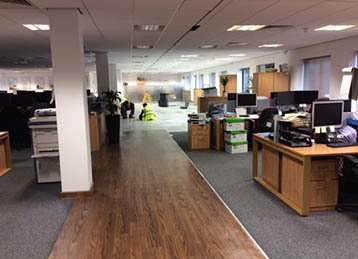 We can help by working with both landlords and tenants providing office refurbishment services that deliver a solution suitable for all. Ensuring premises are put back to a satisfactory condition, giving you peace of mind it’s in the right hands. You will need to consider these issues prior to the end of your lease. We will also help you understand the documents associated with a dilapidation such as ‘schedule of dilapidation’, ‘quantified demand’, ‘scott schedule’ and ‘dilapidation protocol’. This makes the process stress-free, easy to manage and ensures you are adhering to the terms agreed in the lease. 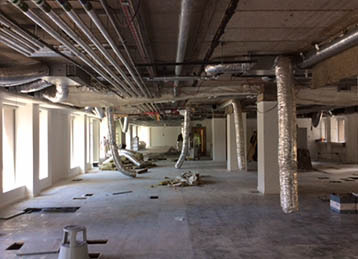 Building Interiors office refurbishment will help you and your landlord, and we can establish a constructive way to manage the dilapidation effectively, and for the benefit both parties, saving costs along the way!